This micro-report describes the process to establish the Crossrail Programme Baseline and the components of the Baseline, including the high level Work Breakdown Structure. Baseline development is a critical activity in any programme. The production of the Initial Control Baseline (ICB) was a major step in improving the certainty of the plan for the delivery of Crossrail. It allowed Crossrail and its partners to control programme delivery and supported Sponsor confidence in the programme. The final Baseline was approved by the Sponsors at the last Review Point and remained in place for the duration of the Programme, subject to formal change control. Review Points were established by the Crossrail Project Development Agreement (PDA) between Crossrail Ltd (CRL) and the Sponsors; the Department for Transport and Transport for London to provide a process to gradually provide CRL with increasing authority. At each Review Point the Sponsors reviewed the costs of the Project and any scope changes required. The development of the Crossrail Programme Baseline was therefore an essential input to the information required to be provided at the Review Points. A number of scope and cost summaries were prepared during the development phase. These were first drawn together in a comprehensive statement of the Baseline in the Initial Control Baseline which was approved by the Crossrail Board of Directors in January 2010. The final Review Point, which gave the Project sanction to let major contracts, was passed in March 2011. The Baseline documented a full and final set of Programme requirements which were compliant with the Sponsors’ Requirements, the Project Development Agreement and the obligations within the Crossrail Act. This was the final comprehensive re-baseline exercise, and the Baseline has been subject to change control since then. The Programme change control process is described in a separate micro-report: Change Control Process. The products comprising the Programme Baseline are as follows. On-Network Works Functional Requirements Functional requirement for works on the national rail network, delivered by Network Rail. The collected undertakings and assurances on environmental matters. The construction of Crossrail is governed by the EMR which sets out the measures to control and manage environmental impacts for contractors and others working to design and build the railway. New Works Standards The set of standards for the design and construction of the Programme. Scope Book A summary of the high level design which sets out a description of the individual work elements that when integrated, form the infrastructure necessary to support the Crossrail railway service. Generic sections of the Contract Works Information Requirements included in all Crossrail contracts. These were standardised in the procurement process. Once contracts were let, any changes to Works Information that applied across the Programme, for example to generic engineering specifications, were subject to formal Programme change control to ensure that impacts were properly evaluated. A comprehensive cost estimate was frozen at Review Point 4 and established as the Programme budget. The Programme level Control Budget. The control budget as authorised by the Crossrail Board, analysed into the work breakdown structure. Investment model A requirement of the PDA, models forecast cash flows and risk over the life of the Programme, plus the values of the Intervention Points as defined in the PDA. Master Control Schedule Key Events and Anchor Milestones High level schedule milestones. A relatively small number of key dates were defined as Anchor Milestones (circa 100 per year at peak) and controlled as part of the Baseline. The full schedule was re-baselined, usually at the start of each financial year. The schedule was not cost loaded. Budgets and forecasts for capital works were time-phased by cost managers. The total value of budgets was subject to change control but budget phasing was not. A time phased annual cost business plan was approved by the Board for each financial year and outturn costs were monitored against this. The Project Development Agreement specified a formal process for implementing change to the Sponsors Requirements, the other elements of the Baseline, or the delivery methods of the Programme. This required a formal notice of proposed change, following which Crossrail was required to prepare a change appraisal. If the change was to proceed, a change confirmation notice would then be provided by Sponsors which included confirmation of any additional funding or extension of time. The Sponsor Change process provided a formal method for appraising and instructing changes to Sponsor Requirements. The process ensured that any potential changes were highlighted and managed to conclusion in a consistent and comprehensive manner. The Work Breakdown Structure was maintained consistently across different systems by the use of the master data control system, leading to increased efficiency in reporting, better data integrity and flexibility in report design. The Crossrail WBS was set at a relatively high level for scope and costs, with the lowest level being activity group within a contract. For lower levels the data was maintained in the main contractor WBS. Developing the Crossrail WBS to lower levels would have given an improved audit trail at a cost of greater complexity and investment in systems. The Crossrail baseline documents were at a high scope level. 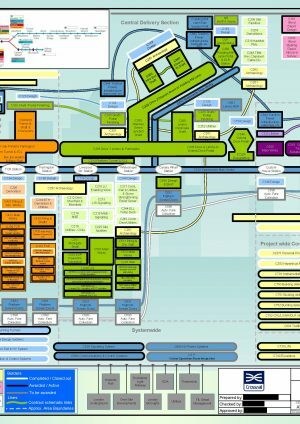 This reduced the change control administration required, but allowed significant design development to take place without onerous scrutiny through the Programme Change process. Design change was classified as a Programme risk, and design change processes were in place which required that design change after approval gates should be referred to Programme Change. This did not always take place until after the design decisions had been taken, resulting in the opportunity to influence decision making being lost. The schedule was not cost loaded, and the phasing of cost budgets and forecasts was developed manually. This was to allow the Crossrail planning team to concentrate their efforts on managing the integrated schedule, rather than in cost profiling. Short term forecasting accuracy was monitored as a KPI through the commercial assurance function. Agree an integrated control baseline as early as possible, and ensure alignment between scope, cost, schedule and risk in order to provide a basis for the management of change. A decision on whether to cost load the schedule will need to be taken considering the requirements of funders. The criticality of accurately time phased cost forecasts will need to be considered against the resource (systems and people) required to maintain a valid cost loaded schedule. Ensure the Work Breakdown Structure is established at an early stage. The WBS should be managed centrally and be replicated consistently across different systems. 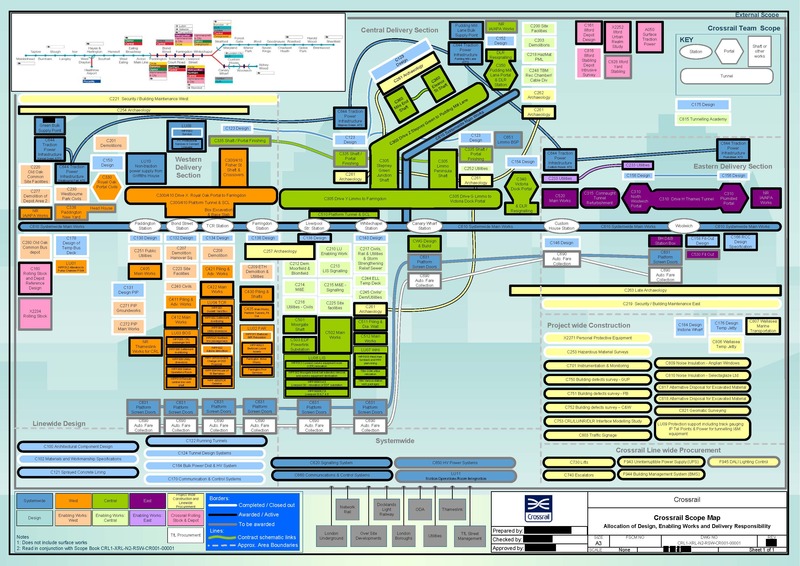 Responsible for managing the Programme Change Control process for Crossrail, which controls the high level scope and requirements documents and delivery budgets. 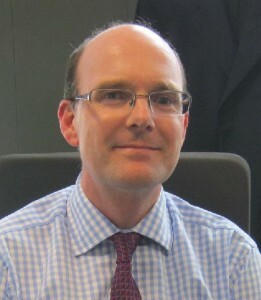 A Chartered Accountant, formerly a PLC Group Financial Controller, followed by ten years in financial roles in Network Rail. Previously Crossrail’s Head of Financial Control, he moved into Programme Controls in 2012, where he established the cost verification function under the NEC3 contracts, and leads the Programme change process.